I’m back in Kathmandu again at the end of what has effectively been a very expensive Everest Base Camp trek. All expeditions have been cancelled, and there will not be a single summit from Everest’s south side this season. This has been without a doubt one of the most bizarre experiences of my life, and I’m still in a state of shock trying to make sense of it all. I wanted to climb Lhotse this year because I climbed Everest from the north side two years ago, and I wanted to sample the south side experience without having to climb the mountain for a second time. Lhotse shares its route with Everest for much of the way up. Where Everest climbers continue across the Lhotse Face to the South Col between the two mountains, we were intending to divert up the face to Lhotse’s summit. I wanted to sleep in the grand amphitheatre of Everest Base Camp, surrounded by impossibly precipitous peaks – Pumori, Lingtren, Khumbutse, Nuptse and Everest’s West Shoulder, which appears as an imposing peak in its own right from there. 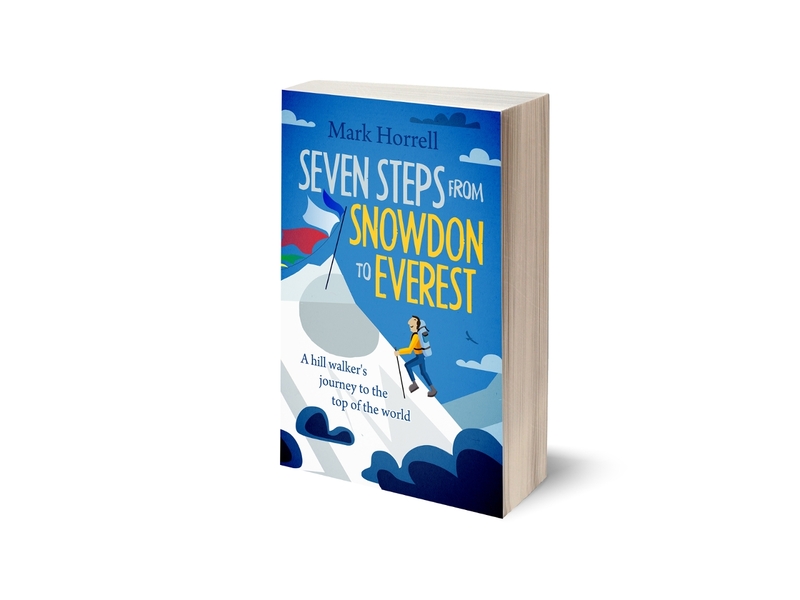 I wanted to climb through the ice towers and seracs of the Khumbu Icefall, and stand in the Western Cwm, named by George Mallory after the hills of Snowdonia and christened the Valley of Silence by the Swiss team who first stood there in 1952. 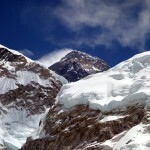 I wanted to climb up the Lhotse Face and look across the South Col to Everest. These are places I have read so much about, and I would love to have seen them for myself, but it didn’t happen. 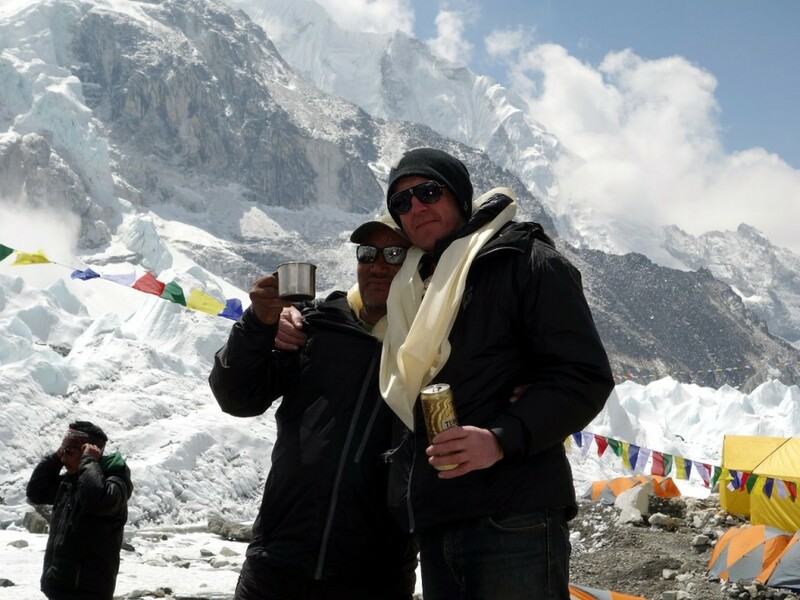 But I also wanted to sample the south side Everest experience because it receives so much negative attention in the media, and I wanted to find out for myself whether it’s as much of a circus as people make out. I found the answer to that. Boy, did I find the answer. Never in my wildest nightmares did I imagine it would be like this. One thing I didn’t expect was a circus built by Nepalis rather than western climbers. I am posting this having not read a single sentence of what has been written in the media about this year’s Everest season. I will read all that soon enough I’m sure, but for now these are my thoughts alone. My phone has been switched off, and only once did I wander down to Gorak Shep to send a blog post and check messages. I have been scribbling furiously in my diary about the events I have witnessed, but at times it’s been difficult to find the words. It’s certainly too early to make sense of it all. I have plenty to say, but for now I will keep it brief. A small number of militant agitators have chosen to exploit a terrible tragedy to pursue their own agenda, and a corrupt and ineffectual government has stood by and watched. 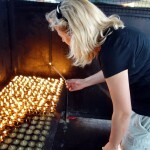 This has magnified the tragedy and made it more likely those Sherpas caught in the avalanche of 18 April died in vain. It has also ensured we are all losers here: Sherpas, government, western climbers and mountaineering operators. I expect a lot of people are coming in for criticism at the moment, so I would just like to stick up for a few people. Since the very hour of the tragedy our own thirty-strong Sherpa team from Altitude Junkies have been solid as a rock. They have stood squarely beside us, remained friendly, loyal and cheerful, stayed out of the politics and waited patiently for the opportunity to climb. They are honest, humble folk who are here to support their families and continue the rich tradition of Himalayan mountaineering that has made the Sherpas prosperous and world famous. We know many of them from previous expeditions and they remain our friends. Our sirdar Dorje Sherpa is a legend in the Khumbu region, and a hero in the eyes of us all in the Altitude Junkies team. Wizened and wise, we all look up to him, Sherpas and westerners alike. If only there were more like him the militants would never have been able to get their way. It’s likely Everest will be quiet next season, but all our guys deserve to find work. Our expedition leader Phil Crampton is also an unsung hero. He has invested a great deal in Nepal over the years and taken great financial risk. He does not make millions out of mountaineering here. It’s no coincidence that eight of our team are repeat Junkies clients. We know he runs one of the best expeditions on the mountain, but also one of the cheapest. Events have proven that he also has the most loyal Sherpas. Phil flew to Kathmandu at his own expense last week to negotiate with the government and try to save the season. They let him down. He was promised much, but given nothing. Like all operators he has hundreds of kilos of equipment stuck up in the Western Cwm. Yesterday eight teams each sent a Sherpa up there by helicopter to gather it together. It will stay up there, frozen in and moving with the glacier. Perhaps it will be retrievable next year, if any of them decide to come back here. But Phil doesn’t seem to be worrying about his own losses. He worries about his Sherpas, some of whom may not be able find work if he has to pull out of Nepal. And he worries about us – his clients, who have paid him a great deal of money and haven’t even left base camp. We feel like we’ve been stitched up, but not by him. It started as a terrible, random tragedy, with no blame and no villains, but it has become something else. From what I have seen westerners have behaved appropriately. I don’t know what has been said to the media, but around camp we have been silent, patient and sensitive. These are people, many of whom have saved up and trained for years to be here, mortgaged their houses, quit jobs, made career and relationship sacrifices, all for nothing. A few operators who have accepted their money and employed militants have actions to take in the coming months. I believe the biggest share of the responsibility lies the government. The militants are mostly kids who haven’t considered the consequences of their actions. They will harm themselves and their community in the long run. The government talk endlessly about what they intend to do here, and end up doing nothing. Long before the season began they promised police and army at base camp to avoid a repeat of the fight that occurred here last year. Had that happened the intimidation that has prevented people climbing could have been avoided. To great fanfare they announced we would each have to carry eight kilograms of trash down from the higher camps, but now there are several tons of additional equipment lying on Chomolungma’s slopes. I’m going to stop ranting now. It’s still too early and emotions are raw. The last week has felt like a year. So much has happened that it’s easy for me to forget that I watched sixteen people lose their lives in a hideous, unparalleled tragedy that but for a few hours or a few more metres of climbing might have taken me as well. 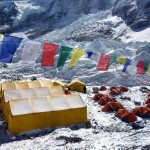 Knowing you were going to Lhotse this year, I was waiting to see you blog about what has happened this year. 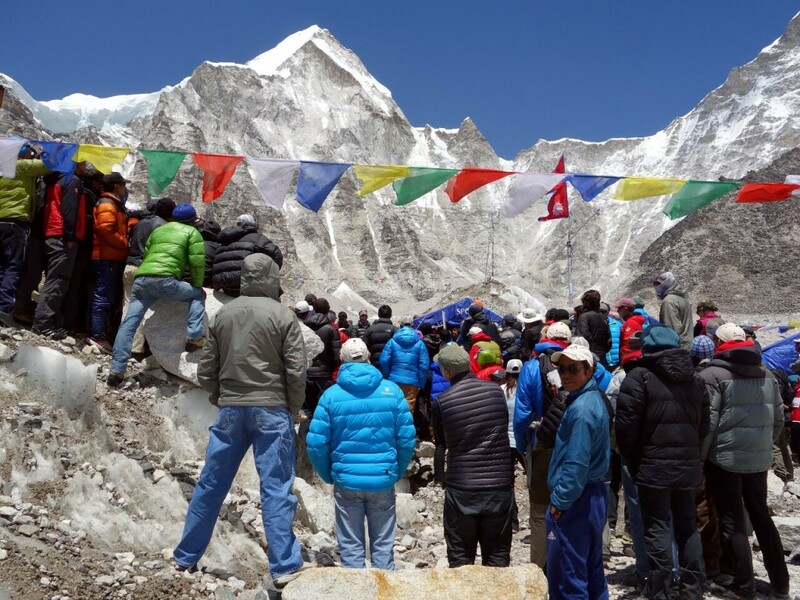 I’m sad that this is the content, rather than reports on climbing – sorry for everyone hoping to climb, for the Sherpa who will struggle financially as a result, and most of all for those who lost their lives (and their families and friends). Hi Mark, a very thoughtful post. What a disappointment. You must all feel as though you’ve had the wind knocked out of you. 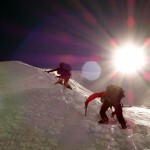 Is there still an opportunity to climb a trekking peak or a small expedition peak? Maybe I sound like the eternal optimist, but I’m sure all concerned would feel much better if a positive experience could be salvaged from this terrible tragedy. Yes, a very thoughtful post……great to see a blog like yours online. Nice piece Mark. Gutted for you not to get the chance to climb. I fear for the next few years on Everest now. You will enjoy catching up on the excellent written media coverage about you rich whiny Everest climbers! (Giles Coren, Times!). Great post Mark. I’m in the same boat as you’re probably aware. Would have been great to meet you at BC this year. I’m lost and confused by the whole situation- like you say everybody has lost out. Hi Mark, feel bad for your adventure to end in such a way. Did you see this for yourself – “A small number of militant agitators have chosen to exploit a terrible tragedy to pursue their own agenda.” And can you give us an insight on how much salary and insurance do these western companies give to Sherpas vis-a-vis western guides they employ? Can sense the raw emotion and honesty from your words here, yet it’s still hard to piece the whole sorry mess resulting from the tragedy together. One thing for sure is that the Nepali government need to stand up and be counted. Not on,y on the issues surrounding expedition permits and conditions of the Sherpas, but a whole kaleidoscope of malaise and corruption envelops that country. I suggest that ‘agendas’ be put aside for a moment while we focus on the reality of the situation. It’s hardly surprising that in a country where the average income is just a few hundred dollars per annum, people are prepared to risk their lives to make 10 times that in a two month period. It’s a temptation that would be hard to ignore, so are we not morally obliged to protect them if we should knowingly lead them into this temptation? In the last 12 years I’ve made 3 trips to the Himalayas and 1 trip to the Alps. I would love to go to the Alps more often, but I can enjoy a month in the Himalayas for the cost of a fortnight in the Alps – even considering the more expensive flights. We (Westerners) have been taking advantage of this economic differential since Mallory said “…because it’s there.” Now it’s “because it’s there and we can afford to go there!” We of European origin are guilty of exploiting this in-balance and will undoubtedly continue to do so until the economies of the world reach equilibrium. I feel sad for the Sherpa families who have lost their loved ones and concern for the long-term impact this incident might have on the economy of the region. I have even greater concerns for the well-being of those who continue to risk their lives because they see this as the only route to escape poverty. Ironically, their families will now be poorer than ever due to their loss. Yes, they may be well-paid by their standards and fully aware of the risks involved, but would a mountaineer guiding in the Alps expose themselves to a similar level of risk on daily basis? Certainly not, because they already enjoy a very high standard of living, so taking such risks would not even cross their mind. This is not true of the Sherpas, who given the opportunity will continue to risk their lives chasing the dollar. Westerners will continue to come to the the Himalayas because it represents ‘good value’. And there will be those in between who will do quite nicely, thank you. Ultimately it will be down to the individual to ‘do the right thing’ by ensuring that those in their employ (directly or indirectly) are adequately insured and remunerated accordingly. Personally, if a large number of fatalities resulted from my recreational activities I would have some serious issues, although I’m not sure if a $100,000 Everest climber would share my concerns. Great post Mark! My hearts go out to all of the decent hard working people who died. A good unbiased way to look at the events. Glad you are safe! Hi mark good to red your bolg but way not try your self without Sherpa you have permit. Just watched a special on the national geographic channel about the Everest avalanche. They interviewed Phil from the Altitude junkies. It was a good summation of the tragedy. Maybe you can catch it on the telly in London.